The Big Idea: Helping kids choose crunchy fruits and vegetables keeps their teeth and bodies healthy. 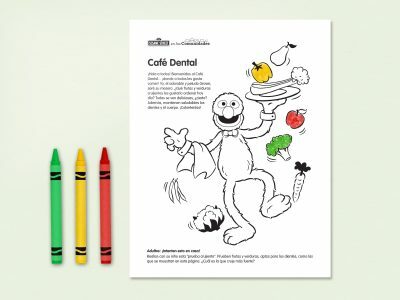 Kids can color this page. Post it where you eat as a reminder! Now kids have their very own Tooth Café, like Grover.